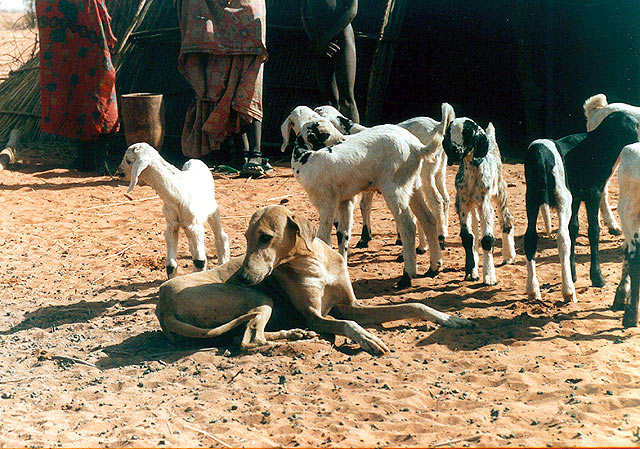 Azawakhs are tall, elegant, proud, lean, athletic, muscular sighthounds. Males stand at 25-29 inches and weigh 44 to 55 pounds. Females are between 23.5 to 27.5 inches and 33-44 pounds. They have a graceful, effortless gait when trotting and cover a lot of ground especially when in their double suspension gallop. They are easy to groom as they have very short coats, with almost no hair on the belly, and are medium shedders. Their smooth coats come in a variety of colors; white, black, clear, gray, clear sand, dark red, blue, brindle, grizzle, party color, chocolate and all other shades of brown. They may be black-masked with white markings on legs, chest and tail. Their elegance and fineness belies the fact that they are durable hunters. They are capable of catching and taking down many animals, such as hare, wild boar and gazelles. Though kept primarily as family pets in the United States, Azawakhs are great protectors of their homes and families. They bond closely to their people and have little use for strangers. This livestock guardian breed, while not naturally aggressive, will not hesitate to show aggression if threatened. Azawakhs are highly intelligent and extremely independent dogs. For this reason, they need early, kind and consistent training. They are very energetic and have tremendous endurance. They are loyal and deeply affectionate, but don’t let this fool you. They are also intensely suspicious, prey driven and have a strong guarding instinct. Exercise is a must for these dogs. They are built for speed and are pretty much heat resistant, so they make great running companions. If given proper daily exercise, they are happy just snoozing on the couch when at home. 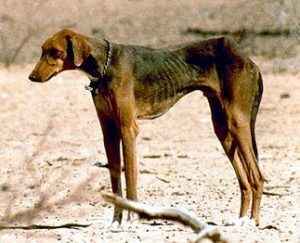 Due to their short hair and low body fat, these desert dogs are sensitive to cold. They adapt well to apartment life and are not prone to recreational barking. Hailing from the Azawakh Valley in the arid regions of south Sahara, Azawakhs were originally owned by the blue-clad Tuareg nomads, where they are accepted as family members. They protect their family and flock from danger. They are fine boned, yet not prone to injury. As a matter of fact, they are a quite healthy breed with a lifespan of twelve to fifteen years. Unlike many large breeds, hip dysplasia is unheard of in Azawakhs. They have a small incidence of epilepsy and Wobbler disease. 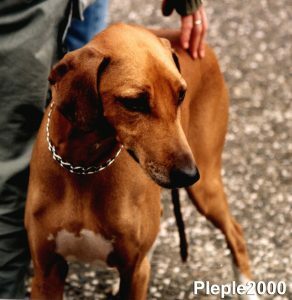 If this sounds like the breed for you and you would like more information, go to the American Azawakh Association.